Andrew started sailing when he was about 9 or 10. His mother was unwell so he had been sent to live with some friends from school for a while. They had an old English lifeboat called Riposte and she had two little dinghies called Swallow & Amazon. 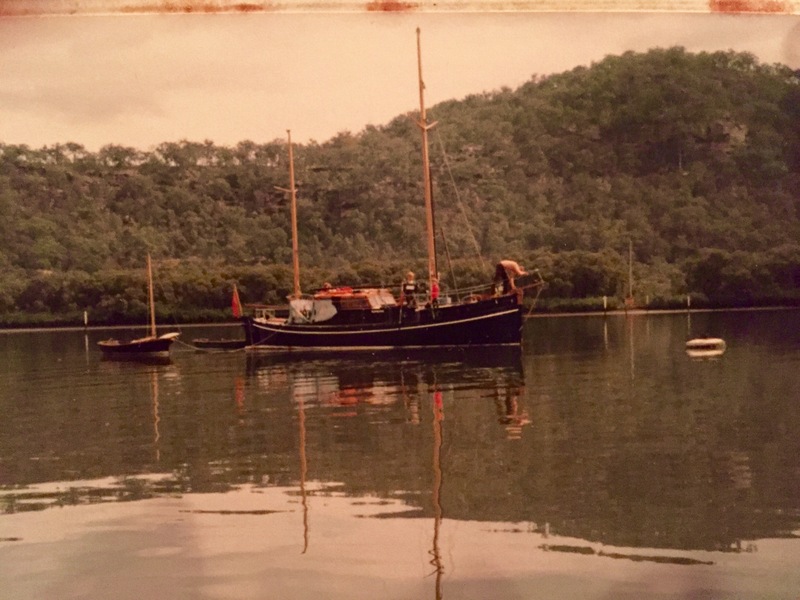 She was moored in Brooklyn on the Hawkesbury River, just north of Sydney. They cruised her around Cowan Waters, Pittwater and up the Hawkesbury River most weekends and school holidays. A few years later, Andrew’s family also had a holiday house on the Hawkesbury River. 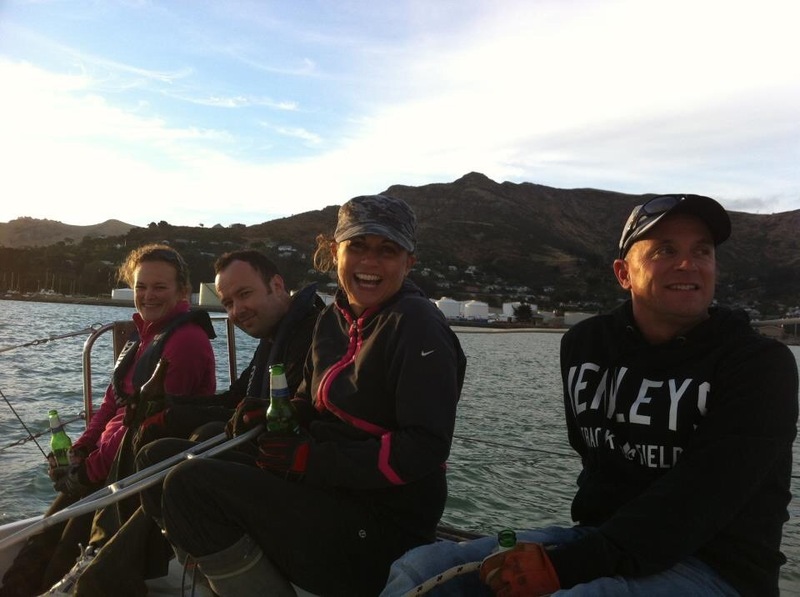 Andrew and his brother and sister and friends had lots of fun mucking around in various boats and motorbikes. When he was 13 he bought his first yacht Kaos. She was a Spiral sailing dinghy. 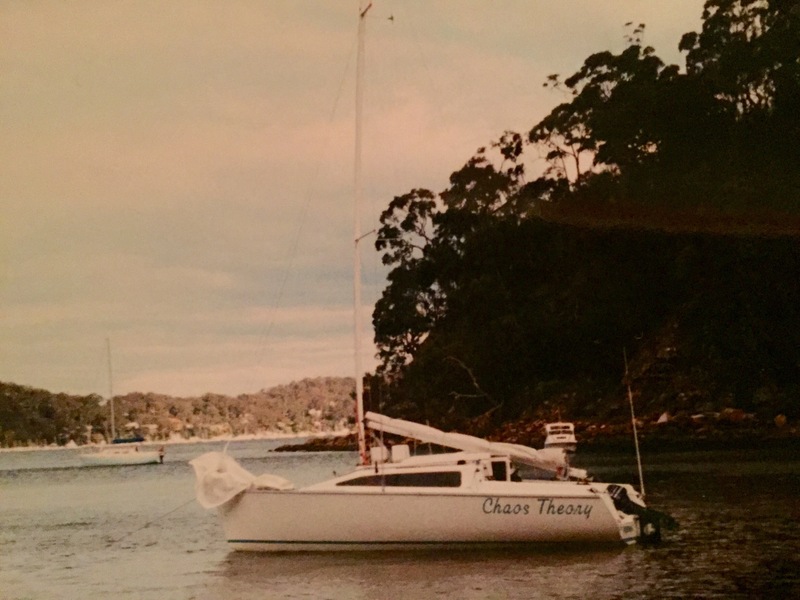 Andrew had Kaos for about seven years and he would sail her in Sydney Harbour, up the Hawkesbury, around Pittwater, Port Stephens and Narrabeen Lakes. 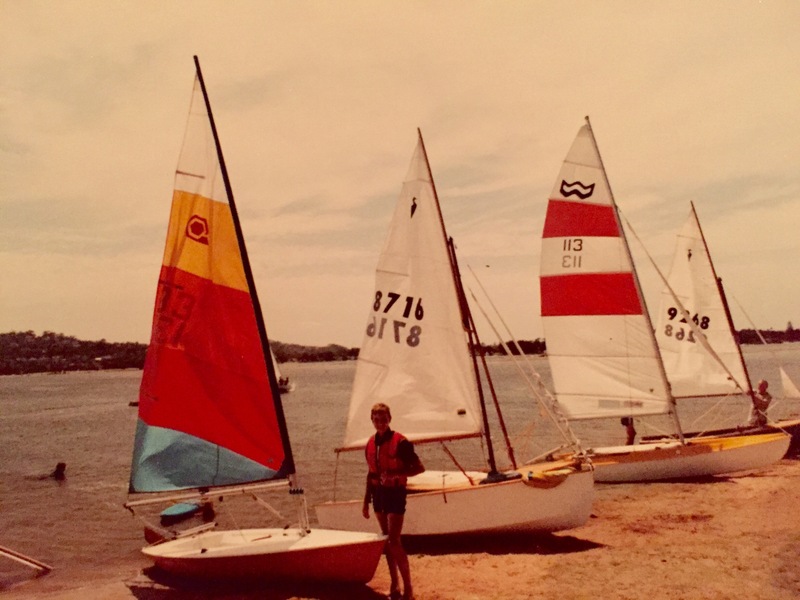 When he was 16 he got a windsurfer and that was added on to the boat trailer with Kaos and dragged all around New South Wales on various adventures. Andrew also joined the Scouts and this provided more opportunity for sailing Moths and Hobie 16’s. When Andrew had finished with Kaos he gave her to the Scouts boat fleet. While at University, Andrew’s old school friends had Elliott’s and he crewed with them racing on Pittwater. This is where he learnt the fine art of being a bowman, dancing around on the foredeck of a race boat with no lifelines. At the weekends and after school he worked at The Boating Shop in Sydney’s North Shore, and eventually went on to become the chandlery manager. Following the stock market crash of 1989, people stopped spending lots of money on their boats and Andrew was made redundant, but was quickly snapped up by one of his customers who offered him a position in an international logistics company. He had been helping a customer fit out his new boat- Niltaurus, a 30′ steel Bruce Roberts bilge keeler. After a rushed commissioning, as soon as she was launched they did a quick test sail across Sydney Harbour to Manly. All seemed fine so they stopped in to get a pizza and then carried on up the coast to Ballina, near Byron Bay. They left on a Friday night bashing in to a 20kt Nor-Easter and arrived nine days later, just in time for the skipper’s baby son James’s birth. Through friends, Andrew met the owners of Cyan. 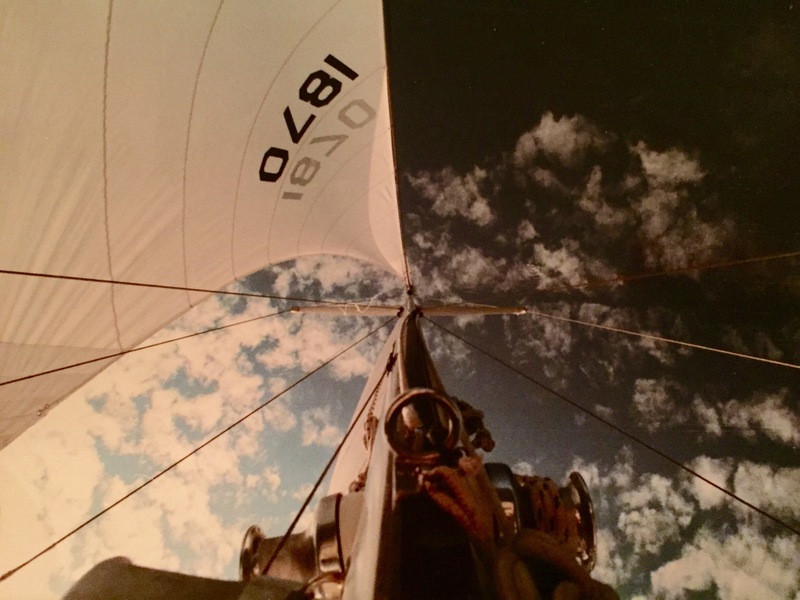 She was a 42′ Sparkman & Stevens huon pine classic sloop. It was a big change from crewing on the Elliott’s. 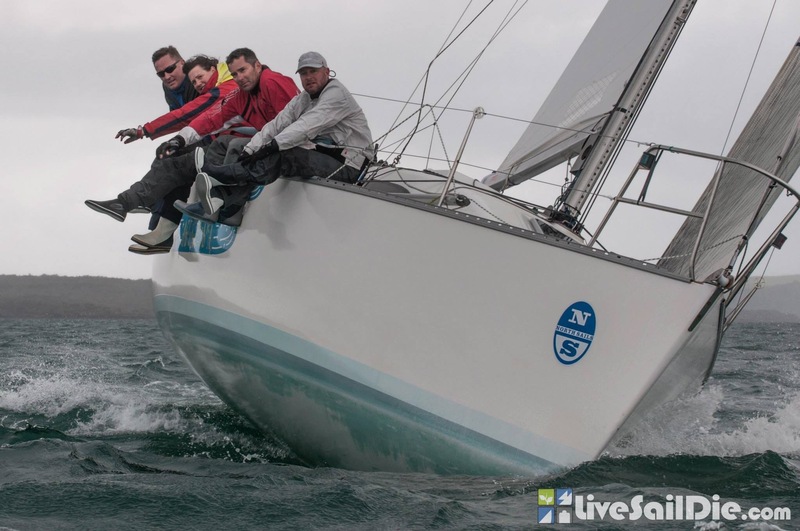 They raced Cyan from the Royal Sydney Yacht Squadron, competing in the offshore series, around Sydney Harbour and up & down the coast. 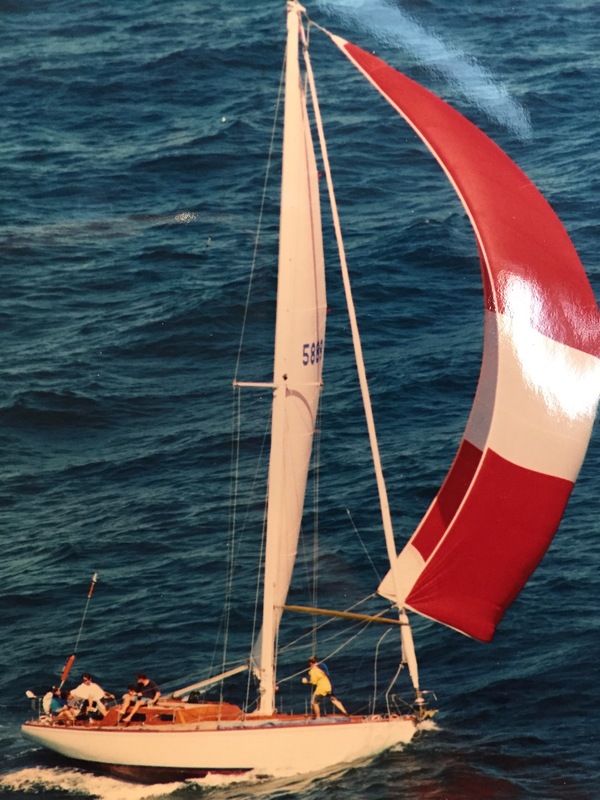 This photo with Andrew on the bow was taken by helicopter during one of the lead up races to the Sydney Hobart. They even won the Australia Day regatta one year, beating the 70′ Volvo round the world yacht Nokia (on handicap). 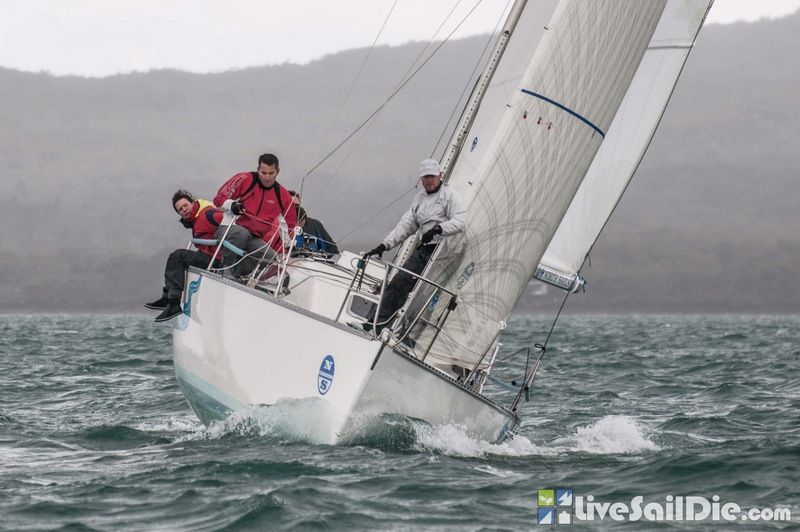 There were many more adventures on other yachts, sailing around Hervey Bay watching whales, going over the Wide Bay Bar on the Southern end of Fraser Island through the surf, some charters around the Whitsundays, and lots more racing. Then the kids came along and they moved over to New Zealand, initially to the central North Island, then down to Timaru. After separating from his wife, they all moved to Christchurch in 2011. Then in 2013, after a sailing hiatus of ten years he met me! He casually mentioned that he had done a bit of sailing, so I invited him out on Wildy for a Wednesday night race. It was fair to say that I was pretty impressed when he successfully flew Wildy’s big pink kite that night. His bow skills didn’t go unnoticed by my fellow competitors either, and he was soon snapped up by Flying Machine who regularly borrow him for various regattas! 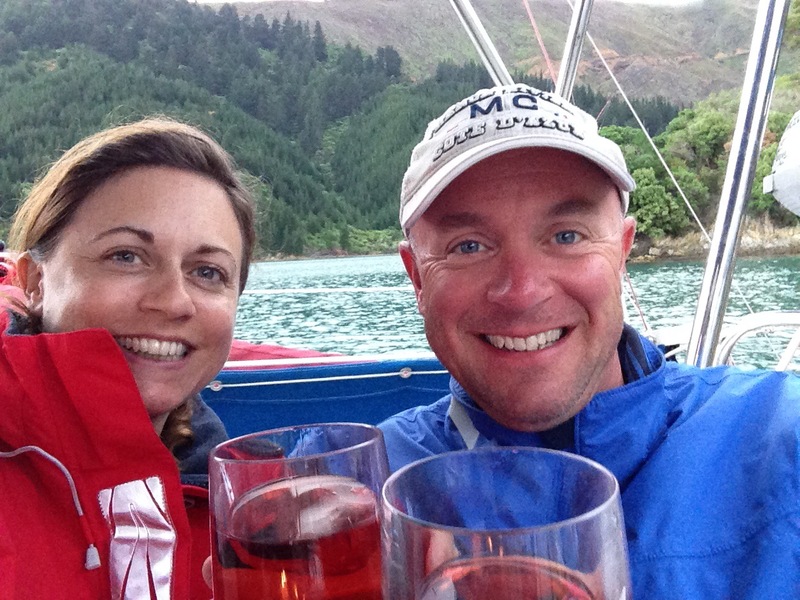 But luckily for me he also loves cruising and a shared desire for lots of sailing adventures in the future together. Great story, love the pics!